I got the wrong shade of Amazing Cosmetics Amazing Concealer Hydrate ($32) and I am kicking myself because simply put this stuff is amazing! Amazing Cosmetics Amazing Concealer Hydrate is one of two new concealers that the brand introduce for Spring 2016. This formula promises creamy, crease-free, full coverage with a nourishing formula that hydrates and conceals eyes. As a fan of the original Amazing Cosmetics Amazing Concealer I decided I’d trying out the new hydrate formula and it was the smartest thing I ever did. I love this stuff. Sadly, I purchased it online in the shade Light Golden so I need to head back in and grab Light instead as this shade is a bit too dark. But that’s ok as this week is Ulta Platinum Member 20% Off so I don’t feel so bad about dishing out another $32 for another shade. And hey, as I said, the formula is amazing so I don’t mind the splurge in the least. Amazing Cosmetics Amazing Concealer Hydrate comes housed in a pink metallic square barrel that’s 0.08 oz in size. As promised it is indeed a very creamy, crease-free formula however, I wouldn’t call it full coverage. This applies and blends out quite sheerly and I had hoped it offered a little more coverage than it actually does but I don’t mind as the coverage it does provide is plenty enough for me. Personally, I need to conceal puffiness, finer lines, and tired eyes. I wouldn’t say I have really terrible dark circles but my eyes do tend to look tired and I rely on concealear to freshen and waken them up. This provides coverage enough to do exactly that. 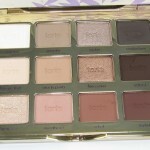 But as I said it does sheer out considerably so don’t expect it to provide an intensely pigmented finish. The thing I love most about this is the texture. WOW! This is fantastically formulated. It has a smooth slightly slick, emoillent consistency that glides on like melted butter under eyes. It’s thin yet very creamy and blends like an absolutely dream. I wouldn’t call it super hydrating but there’s moisture enough here that the glide under my dry eyes is smooth and easy. It really takes very minimal work to apply and blend this out as the formula is just so light, creamy, and moist. There’s not tugging evolved and the product doesn’t even skip as you slide it under eyes! It pratically applies itself. I honestly, can say after trying literally hundreds of concealers that this concealer has the best application I’ve ever experienced. It’s just so smooth and perfect. As I said above the coverage was a little disappointing. I wish it was a LITTLE more pigmented but there’s enough coverage here to deal with the issues I explained above. I did get the wrong shade sadly which was Light Golden so it wasn’t as brightening as I was hoping for. I just ordered it in Light and I’m hoping that will provide better brightening. The shades seem to run dark so you might wanna step back a shade as I did. I wish my Ulta store had them in stock so I can get a better feel for the shades. The wear time proved very nice without any creasing or dryness. 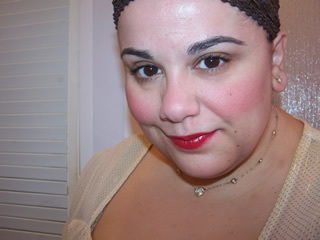 The concealer wore for about six hours and about eight when set with powder. If you have drier under eyes or aging eyes that are showing signs of crepiness, I’d highly recommend Amazing Cosmetics Amazing Concealer Hydrate! This one gets a Muse Approval. Thanks for the review–this concealer sounds amazing! Any thoughts on how this compares to the Cle de Peau concealer? No problem 🙂 hope it helps! It’s not like Cel De Peau at all. Clea de Peau is highly pigmented, thick, creamy, and drier in texture. This is very thin, sheer, and hydrating. Hope this helps! I’m Platinum at Ulta and haven’t received anything about 20% off! What kind of customer service is that? Thanks, I guess I just haven’t found the right combination. 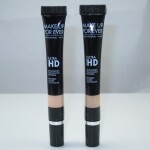 Can’t really compare the two, one is a stick and one is cream so pretty different formulas. Hi Muse, I have a question that I hope you can help answer, since I can’t find this specific answer anywhere. I just bought this concealer because I’ve been realizing I have a very dry undereye area but the rest of my cheeks and general t-zone are oily. I really like how smooth and hydrating this feels but I do have fine lines that product settles into no matter what the claims are, so I always set my concealer. The problem I’m having is that this product is so creamy that my powder sticks to it in a way that makes it look streaky or cakey. I’ve tried putting minimal powder on and just sweeping it across but that gets streaky. I’ve tried my normal method of packing on the powder and slightly ‘baking’ it while I do my eyes but then it takes all the moisture out and looks cakey. I don’t know if I need a finer powder or a different method of applying it (brush vs sponge)? Do I need to let this concealer dry down a little bit first before trying to set it? I will take any and all suggestions because I really do love this formula and the color actually matches me really well, unlike other concealers I’ve tried.